We offer expert and creative designs for printing advertisements in newspapers and magazines which have allured a great network of clients. We are dealing into News Paper Advertisement in pan india.. 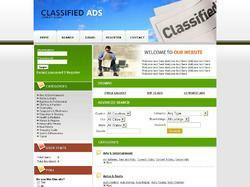 The objective of any advertisement, primarily, is to sell the product it is advertising. This fundamental is often ignored by the creators of advertising in an evermore want to either entertain or impress the customer. We try not to make that mistake. Launching a new product, service, or event and want to be noticed Then it’s essential to market yourself with a memorable ad, eye-catching brochure, or website. Our designs ensure your voice gets theattention it deserves. Adept at digital media, Web design, and illustration. Design of various Advertising materials like Banners, Handbills etc required to promote the company business.